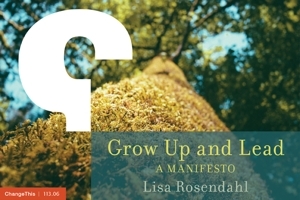 Lisa Rosendahl — Tag, You Are It! I have been tagged by Kimberly Moritz. What does that mean? Well, in my ever expanding knowledge of blogs this means that I need to share five things about myself that readers of the blog might not know, and then tag five other blogs. This poses a few problems for me. First off, I am with Kim when she says that the challenge lies in finding five things that will be interesting to others. Secondly, and this is kind of sad, but I realize how introverted (see #4 below) I have been about this blog and I don't have 5 blogs to tag :( Do I have your sympathy yet?! Ok, here goes . . . . I went to Airborne School as an ROTC cadet in college. That means I volunteered to spend a few weeks of my summer vacation go jump out of a perfectly good aircraft not once, but 5 times. It was a bit surreal flying (falling!) through the air and watching your aircraft fly away. I am a bit claustrophobic (no Spongebob, that does not mean I am afraid of Santa Claus) and it took my 5 year old going down the body slide by herself at the water park this past weekend to get me inside of the cold, dark, lonely water filled tube. I enjoy snowshoeing in the winter and biking in the summer but don't do it often enough. I fell through the ice into the Mississippi river two winters ago while snowshoeing, Before you worry, it was only knee deep but I did not know that at the time. It seems all too often that my daughter points out where mommy fell into the river. I prefer a quiet night with the family, reading a good book or watching a movie to any party, any where, any time. Very early in our dating life, my now-husband and I went snowshoeing around the Hibbing mines and I remember walking behind him thinking that this was the guy I was going to marry. My family keeps me going every day and my daughter is the light of my life. In regards to the 5 other blogs, here is what I will do. I will tag my sister Karen who can add 5 more items to her already 20 item long list of "things about me" on MySpace and invite 4 more readers of this blog to either add a link to their blog and 5 things about themselves or to simply list 5 things about themselves in a comment.